How do we grade at WaveBJJ? At Wave we taking gradings seriously. Well, stripes we are a bit loose and fast with but belts are thought out and discussed before being handed out. The gradings are one of the most stressful and rewarding times of year for us, as we want it to be a special day for everyone. There are ways to speed up the grading process such as winning competitions regularly and with ease. Stripes are small milestones, they are important and show time commitment as well as incremental progress. The first stripes usually mean you have settled into that belt and have a basic understanding of the criteria below for your journey at that belt. The other three stripes show that you are expanding that understanding and act as a light pressure to work harder as you come up to the next belt. Below are our guidelines for grading. Well done for getting in the door and committing to starting your Brazilian Jiu Jitsu journey, it is a long way to black belt and for good reason. Everyone wants to be a black belt but as with most things in BJJ it is counterintuitive to aim for the black belt as this is 8/10 years away. Why would you want to wish your life away like that? No, it’s about learning to enjoy the game that is BJJ. BJJ is making something that seems so extreme and showing you that you can overcome that idea. At white belt you have nothing to lose. 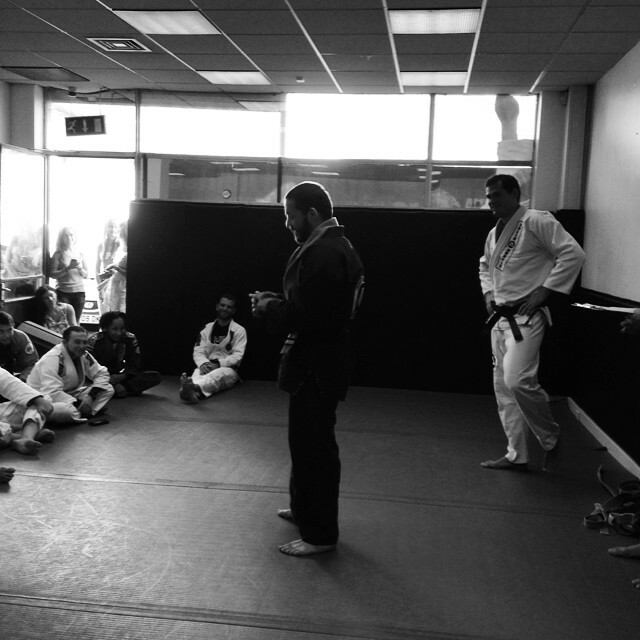 You are open to all the possibilities of BJJ, you can learn all the different positions and the basic techniques that will set you up for the rest of your training. You will learn to defend yourself, well this is mostly what you will do with the occasional submission on someone who is even newer than you. You will roll around like you are in an Indiana Jones movie and you will slowly understand the need for control before submission. At this belt it is important to learn your limitations, this doesn’t mean you don’t do anything, it means the opposite. You have to push past and try things, you will slowly realise you aren’t as limited as you thought in some places and you won’t know what to work on if you don’t push in other areas. This is what they mean when they say leave your ego at the door. Just try things you are a white belt, no one expects you to win and neither should you. You are learning and I promise the more you open up now the faster you will progress. This is pretty much all that is expected of you at this belt. Congratulations! You earned your first belt. By now you have been training for at least a year and a half and have a few tools in your box from every position. You have a basic strategy and are proficient enough to defend yourself in most places. At this point, you can probably defend yourself against an average person on the street too. Lorenzo’s anecdote – When I first started training I had some play fights with my friends, they had no fight training and I let them try and kick and punch me, I didn’t do much striking then and still found it really easy to control them. This really convinced me that BJJ was great for most people when faced with a self defence situation. I wanted to get better and be able to defend myself against people with a bit of training too so kept going. Back to what I was saying. Blue belt is also the point at which most people quit. It’s been a year and a half of training and this is where most people suddenly realise that the road really is long and meanders a lot. You get peaks and troughs and it’s not easy so far. So if this is all you wanted that’s cool. You can now watch MMA and have an idea of what is happening on the ground and you can show your friends who don’t know what BJJ is a few cool techniques. But why quit here? By now some of you will have realised its more of a game. It’s like quitting call of duty because that 12 year old kid in Kentucky keeps snipe-ing you from two miles away like what’s his name in American Sniper and you don’t want to play anymore. Or you can play against people in the same boat as you probably around the same age/weight and keep enjoying the back and forth winning and losing. This is really the fun of it. So you finally have the understanding at blue and you can now develop a more complex game to lure your opponent into your trap. This, in some ways, is the hardest belt to achieve, if you have made it this far (either reading or getting your purple belt), give yourself a pat on the back. According to bro stats if 100 people start with you only 10 people are there when you get your blue belt, now you are all alone here as the only person from that 10 who got their purple belts. Ok, this means no one ever makes it to brown for that to happen you need to have 1000 people who started. Alright, I’m getting back on track. Now you are purple you have figured out your A game. This could be an open guard say butterfly guard or spider guard, or it could be a more traditional closed guard game. You know which techniques work best for your body shape and weight. You have your escapes from all the places you hate being and you have decent B and C games at this point you can play with the newer blue belts and have started to give the higher belts a harder time. From here it is all about strengthening those B and C games to the point they are closer to your A game. This is at least 2 years after you got your purple. All your friends have now left to have babies and watch star trek repeats on Netflix. You, on the other hand, have had countless injuries. Some you thought were big were not and others you thought weren’t that stopped you sleeping at night and made it weirdly hard to carry the shopping. You may even have cauliflower ears, so really you can’t quit. What are you going to tell people that ask about your ears? Did you play rugby? You are too small! You got what belt? Oh so you aren’t a black belt? No one understands the belt system if you quit now, then it’s all in vain. You have by now been training for 6 years so unless there is major injury it’s only about 2 more years till the black belt. A Wave Brown belt will have to teach the beginners class at least once a week. I started teaching at Brown Belt and I think this is a very important lesson in itself. A lot of the time we do techniques without consciously thinking about what we are doing. Teaching forces you to look at what you are doing and answer questions you had never considered. You should also compete once if you want to get to the next level. Wow, congratulations. Bro stats say that you are 1 in 10,000 people who have ever started BJJ if you think about it, that’s extremely rare. I was going to work out some crazy statistic linked to chances of winning the lottery, but I spent too much time training BJJ and not enough learning statistics. So you are now a black belt. Welcome to the start of your journey. You thought the white belt was the start? Ha! No this is the start. Now you have a deep knowledge of most positions and can start flowing more while training. You have seen most attacks and your game is a lot more intricate. Now is the time to fill in any tiny gaps you have and work on the smallest details. You are a black belt and are invincible? No! There will still be those pesky purple belts who have a natural gift to frustrate and catch you. You will have to go back to square one and unlearn your new ego, but really now it’s fun. There is no pressure to be graded you can forget about all of that and just enjoy your training and relax with people. You can feel comfortable in all the bad situations, even when a superior black belt is beating you.